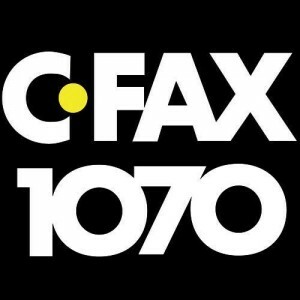 CFAX 1070 is among the list of the best Canada-based channels, broadcasting in Victoria, British Columbia. On September 4, 1959, the channel got on the air for the first time by Saanich Broadcasting Co. Ltd at frequency 810 kHz. During 1964, the broadcasting corporation was authorized to change the frequency from 810 kHz to 1070 kHz. Bell Media is the owner of the channel along with its sister channels CHBE-FM and CIVI-DT. BBM Ratings for Victoria of Spring 2013, the CFAX AM ranked 3rd. The channel is responsible for broadcasting the news and talk show format. The slogan of the CFAX 1070 is Victoria’s News Authority. Wait for a few moments as the online stream of the CFAX AM will take just a few seconds to load and play. If someone in the city wants to hear the latest community news in the city, he can tune the radios to 1070 kHz. But if he is far from the British Columbia then he can listen live CFAX 1070 AM Victoria online streaming from the official site. The visitors can read out the breaking news, entertainment news and the weather news from the station. See all results of CFAX contests, contests rules FAQ and events. Podcast and the top stories are also available on the website. Everyone in the Victoria can take part in the poll conducted by the 1070. Josh Hylden, Adam Stirling, John Moore, Al Ferraby, Richard Crouse, Evan Solomon, Pamela McCall, Todd van der Heyden, Corey Polkinghorne, etc. are the notable personalities in the on-air staff of the CFAX. Programming includes Tech Talk with Alan Perry, Motorline, Petline with Jennifer Shaw, Real Talk with Evan Solomonm, Golf Talk Canada, and many other quality programs of news and talk. Ryan Price is the News Director and the Morning Anchor of the channel. Follow the channel on Twitter and Facebook.